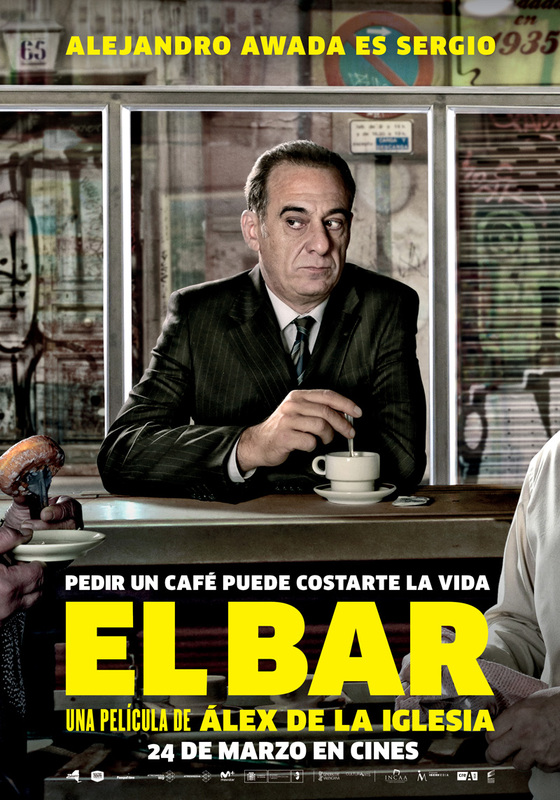 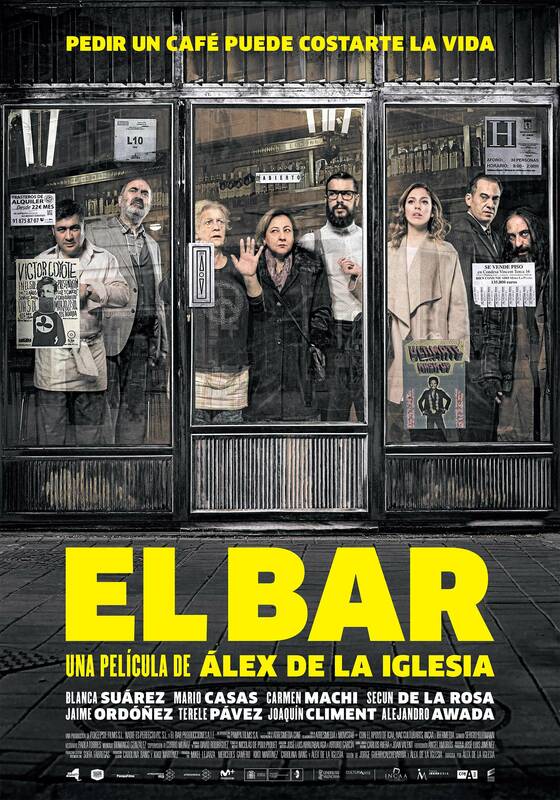 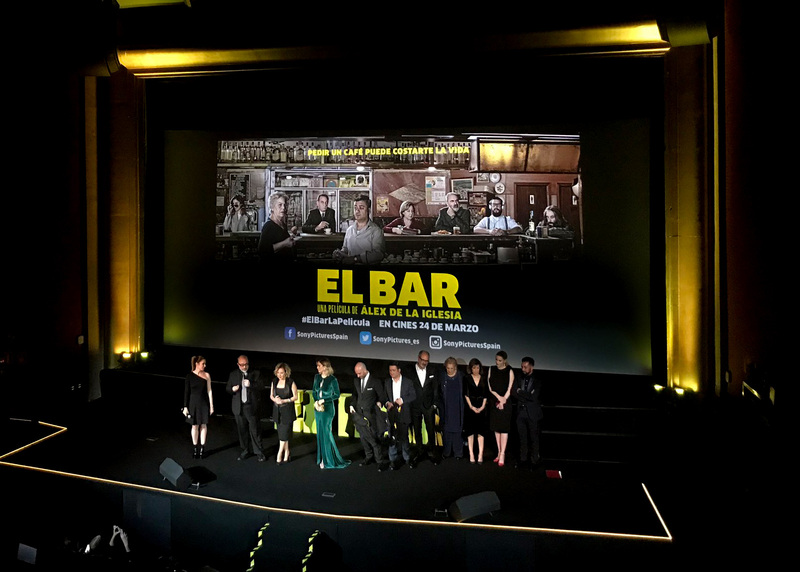 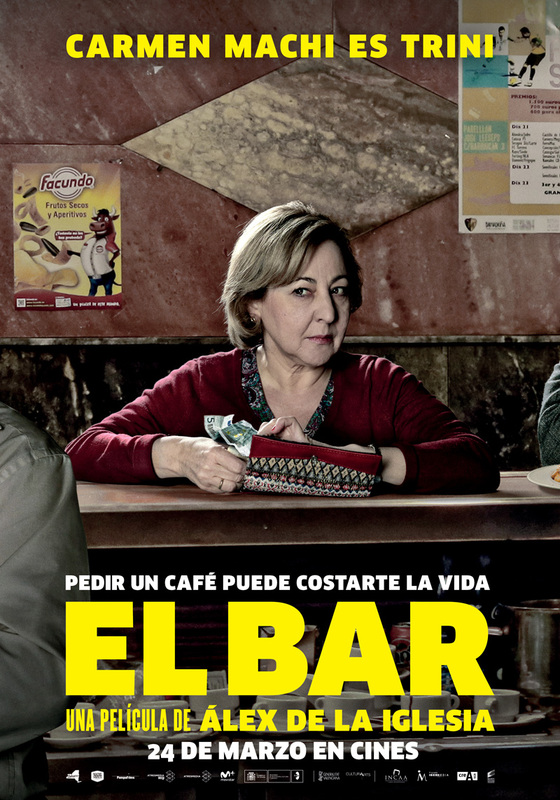 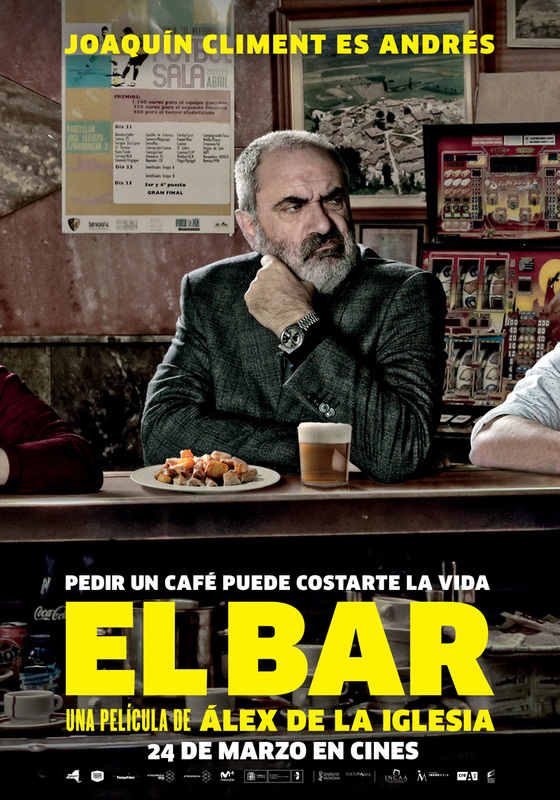 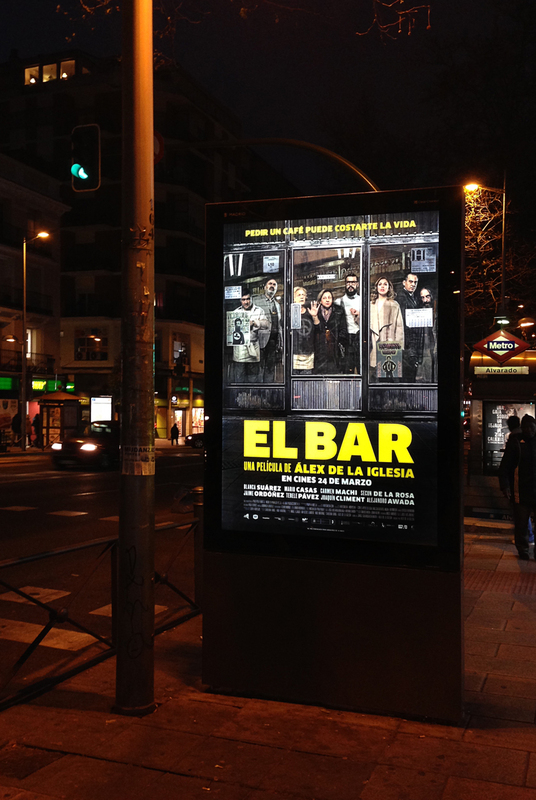 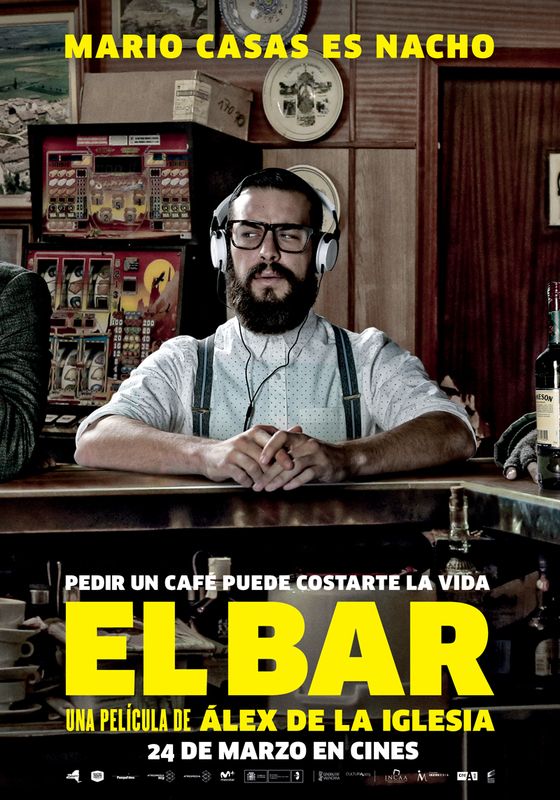 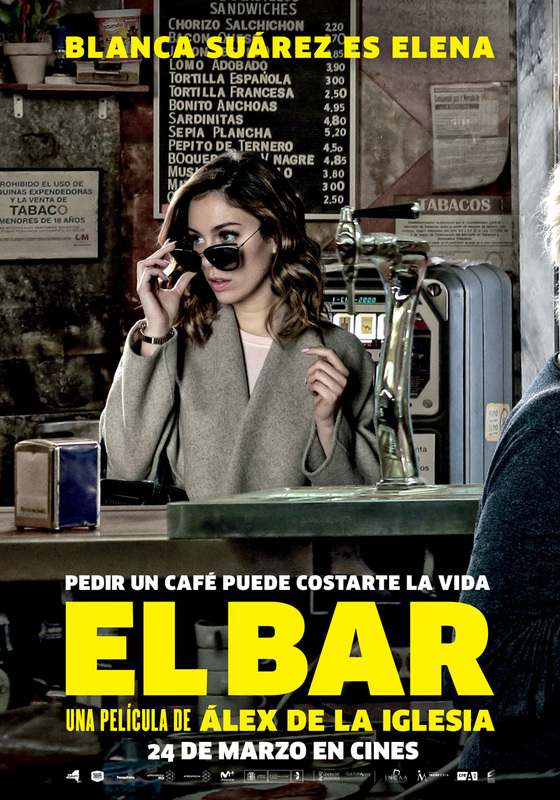 Official poster for the film directed by Álex de la Iglesia ‘El Bar’. 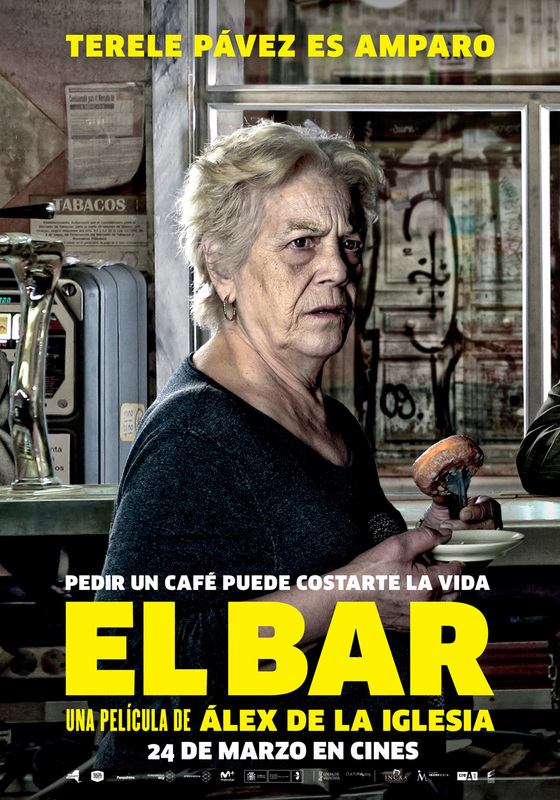 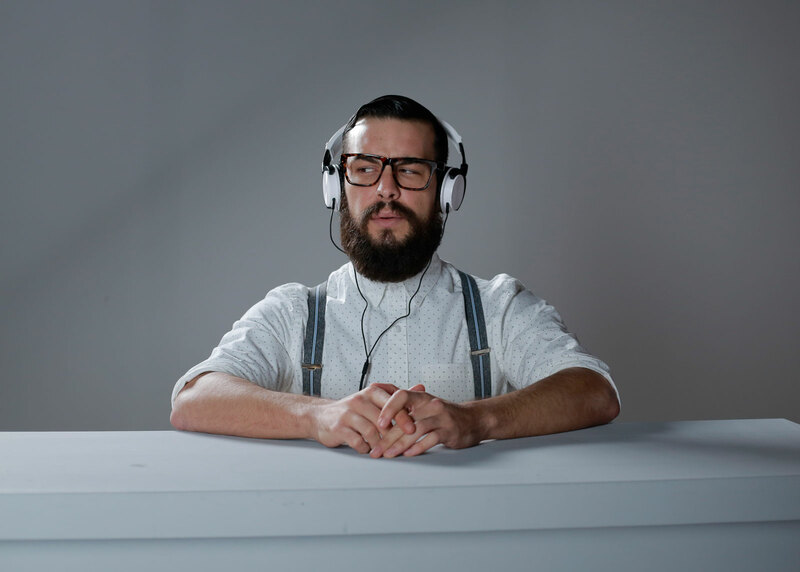 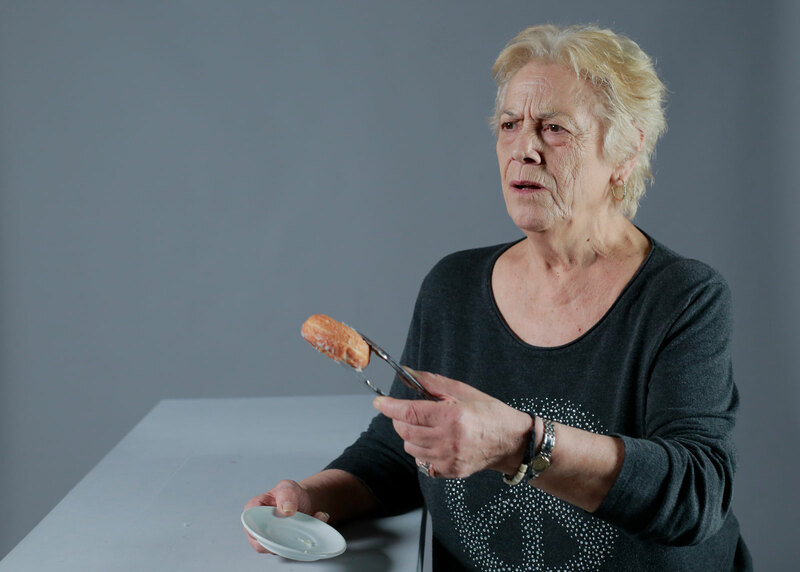 Starring Mario Casas, Blanca Suárez, Carmen Machi, Secun de la Rosa, Terele Pávez, Jaime Ordóñez, Alejandro Awada and Joaquín Climent among others. 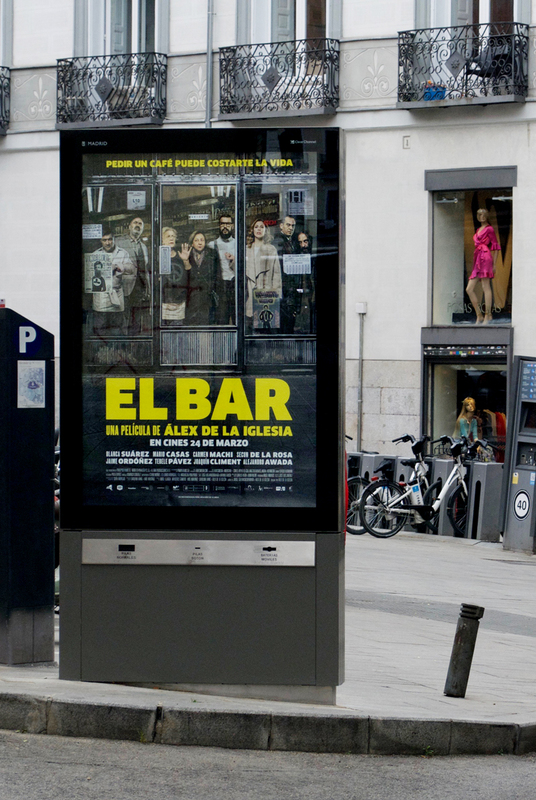 Nine in the morning: a group of people have breakfast in a bar in the center of Madrid. 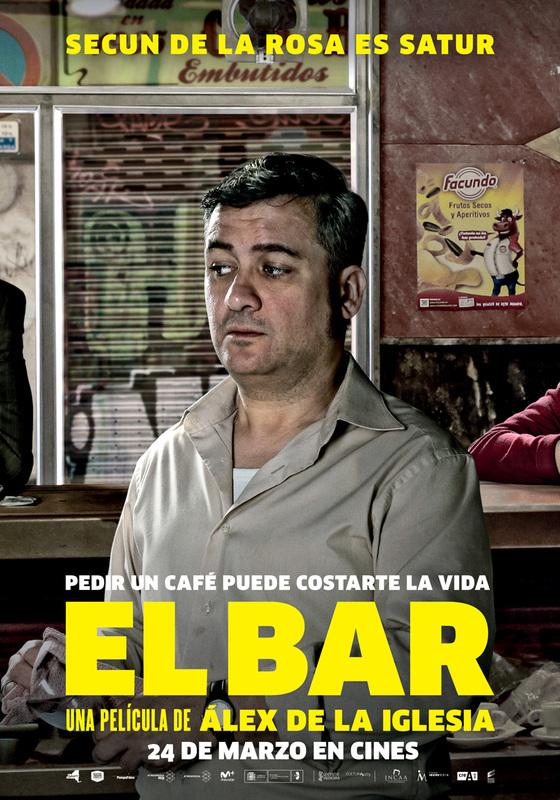 One of them is in a hurry: As he walks out the door, he gets shot in the head. 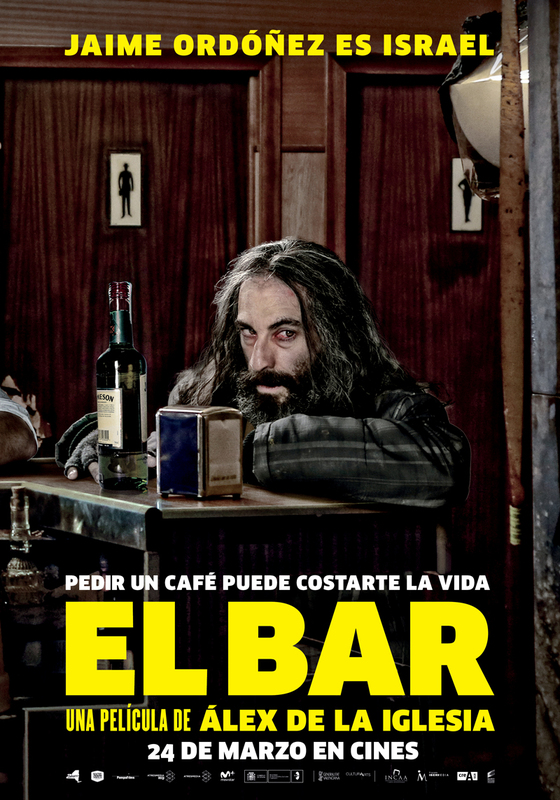 No one dares to help him. 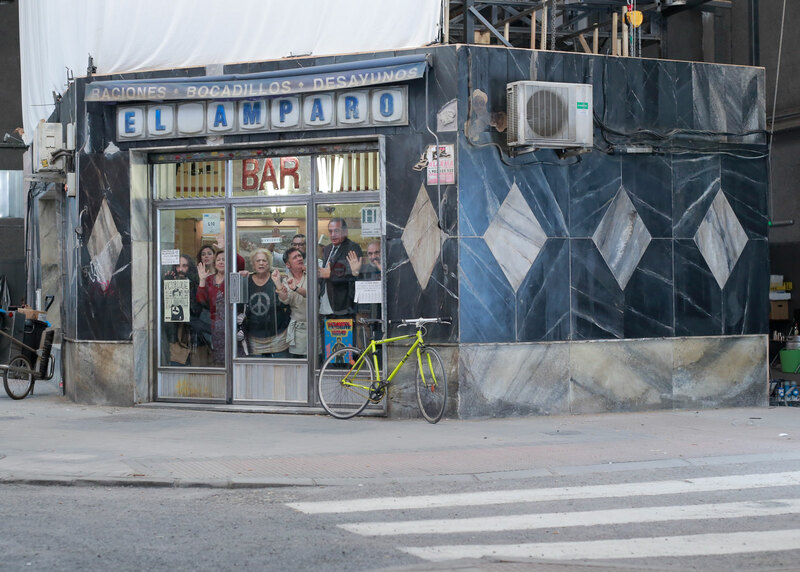 They are trapped.